Thanks to an unusually warm April we are already out camping. Oscar was very excited to go camping. He was especially excited to try out his new dog lounger. 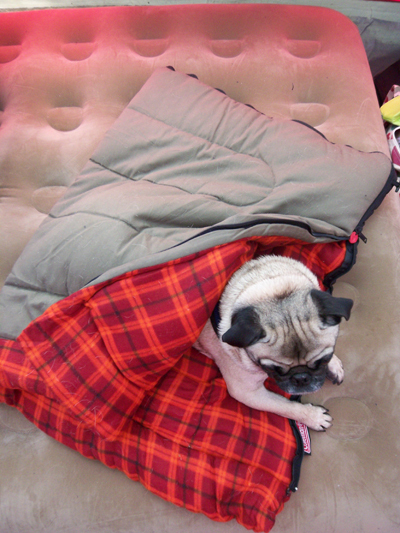 Oh and his little doggy sleeping bag. How cute is that? 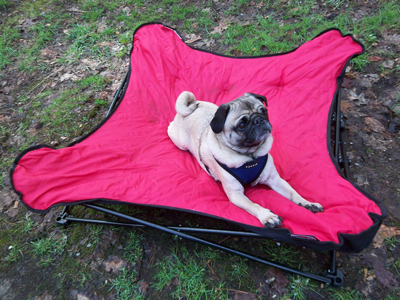 I blogged about these Coleman pet camping supplies awhile ago. We ended up finding both the lounger and sleeping bag for a really good price at a Tuesday Morning. Camping is awesome. Must try the hot dog trick next time. 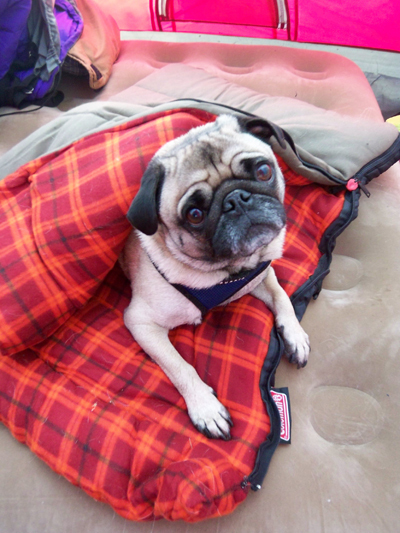 The little sleeping bag with Oscar tucked inside is tooooo cute! um, how cute is oscar? so cute! Oscar in the wild...I *love* it! ahhh! oscar is the cutest! i just purchased the bone lounger (thanks to the heads up in your previous post!) for my peke, gracie. i bought her the small one - what size is oscar's? it looks pretty big! Oh yeah well what about a Belgian Shepherd on a gaming mat?